The current configuration of the Midi Exiter is that the development hardware and the test software are completed. The final product will probably have a smaller display and keyboard. Software is developed with AVR Studio 4. 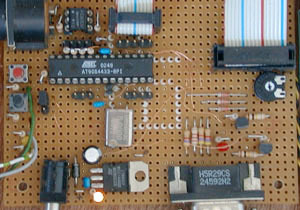 The main board contains a 7805 regulator, a AVR90S4433 and a PC900 optocoupler. The buttons and LEDs at the left and the pins next to the controller are from the first development stages and not used by the final application. 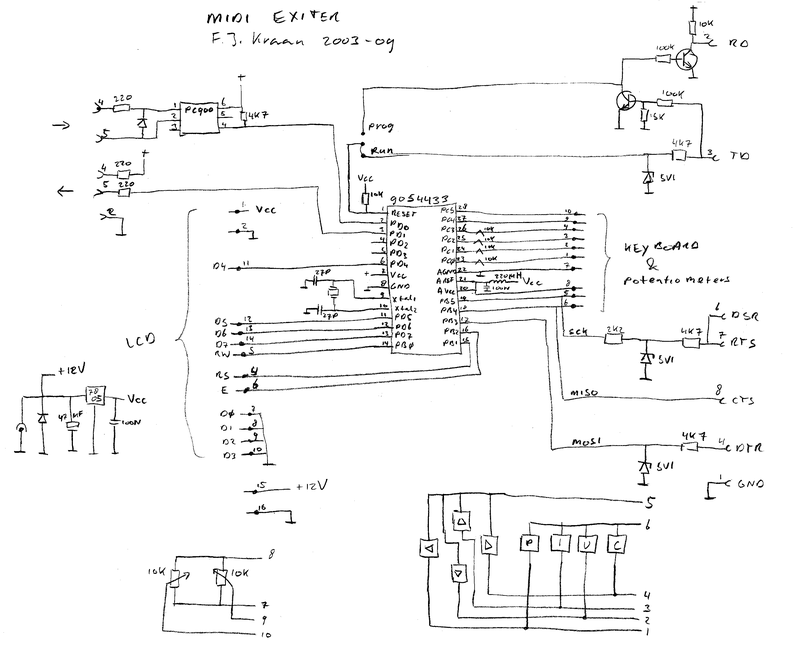 The parts at the lower right are an intergrated serial in-circuit programmer. Device programming is done with PonyProg. Schematic An preliminary schematic only at the moment. 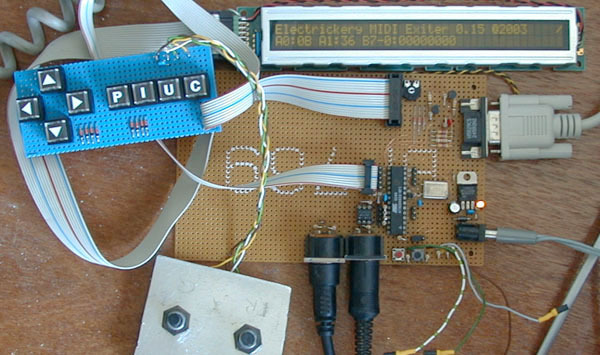 The software currently only demonstrates the working of the various parts like the analog-digital converter, MIDI-interface, keyboard and LCD-interface (nibble mode). There are also examples of display character definitions.